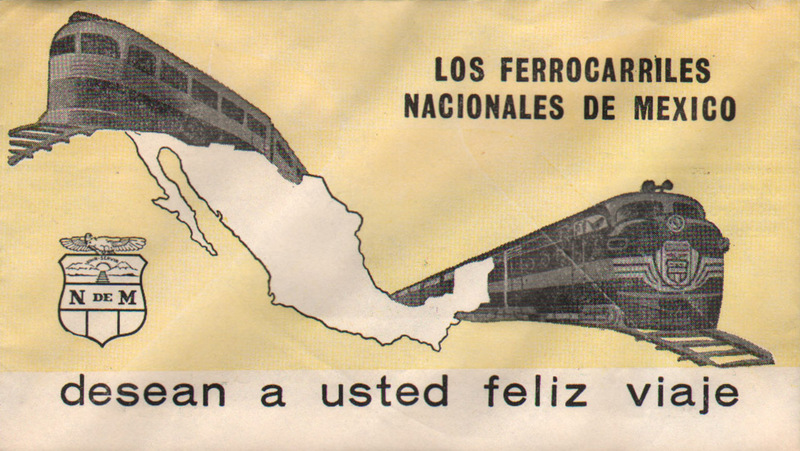 Description Ferrocarriles Nacionales De Mexico (FNdeM) Feliz Viaje (Happy Travels) Mexican (Mexico) Railroad Ticket Envelope. N de M Shield. Map of Mexico and streamlined trains. 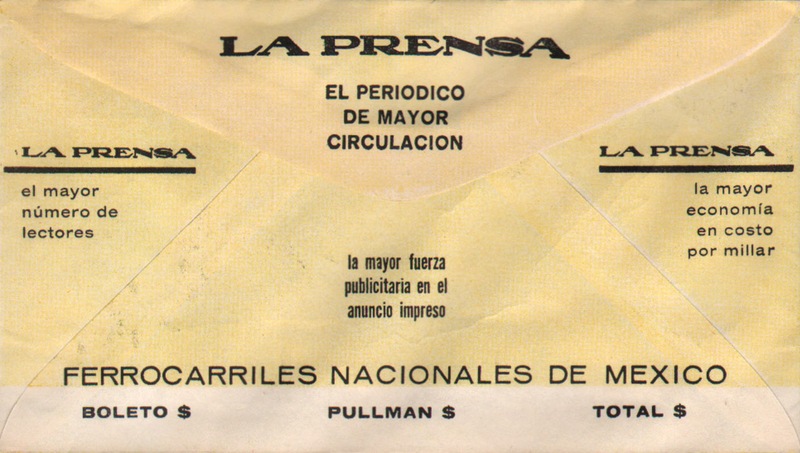 Envelope sealed shut.